Today is National Jerky Day. We're talking about meat here, not someone who is a jerk. Sasquatch isn't the only one who likes jerky. Jerky is the 4th top selling salty snack in the USA even beating out popcorn and pretzels. Jerky comes in many meat varieties and flavors and is considered very lean and is naturally high in protein and low in fat. It may even surprise you that many flavors of jerky pair well with beer, in particular smoked beers. Try a jerky/beer pairing yourself today while you watch the 2014 World Cup. Here's what's happening around the Colorado beerosphere today Thursday, June 12th, 2014. If you aren't reading this article on FermentedlyChallenged.com, you don't know what you're missing. Wiley Roots Brewing Co (Greeley) - [PRESS RELEASE] Wiley Roots Brewing Company will be presenting a grand re-opening celebration Friday, June 13th in their taproom at 625 3rd St in Greeley. The taproom was closed and brewery operations ceased last week as the Poudre River overflowed its banks and flooded the brewery. Co-owner Miranda Carbaugh says “The past couple weeks have been challenging, but we feel extremely fortunate to live in such a great community, and are thankful for the army of volunteers who were with us in preparing for the flood and in the cleanup process. We are especially grateful to our fellow Greeley breweries, Crabtree Brewing Company and Broken Plow Brewery for their support. We look forward to celebrating the grand re-opening with our Wiley Roots friends and family." Wiley Roots’ Grand Re-opening will feature live music from blues artist Sawmill Joe from 7:30p.m. until 10:30p.m., and CSK’s Grill will be serving barbeque starting at 5:30p.m. 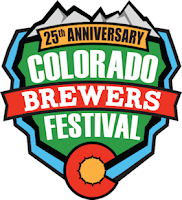 Colorado Brewers' Festival (Ft. Collins) - This 25th annual beer fest will be their biggest ever. 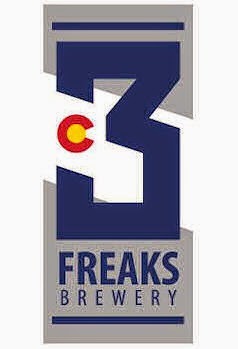 They plan to have 50+ Colorado-only breweries pouring over 100+ different brews. Each day of the fest will feature a rotating tap list for the 2-day affair. 50 different beers each day will be available. Plus, look for the special COBF 25th Anniversary Ale, a collaboration with Odell Brewing and CooperSmith's Pub & Brewing. Plus a new feature - The Summit. The Summit features 20 rotating kegs each day of hard-to-find and exclusive Colorado beers. The Summit also includes daily beer education seminars in Beer School and a Meet the Brewers tent where attendees can rub elbows with brewers. Plus, for the first time, the COBF will offer hard ciders from 2 Colorado hard cider companies. Want a chance to "Wind a Year of Odell Beer"? Online advance ticket buyers this year are entered into a drawing for a complimentary year of beer from Odell Brewing Company. Free admission to the fest this year to enjoy the entertainment, attractions and activities. 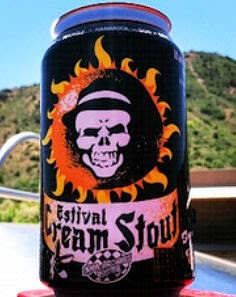 Access to beer can be obtained with the $20 Beer package that includes 10 "Festival Buck" tickets for 10 samples of beer. Tickets and more info at: www.DowntownFortCollins.com.